All the pieces pictured are available. Let me know which one you've fallen in love with and it's yours. Or, if you'd like a new piece made, tell me what you'd like in it. Check out the listing description for more details. Bacon wrapped dates, bacon jam, bacon pancakes. Bacon is blowing up. People love it. Most people. 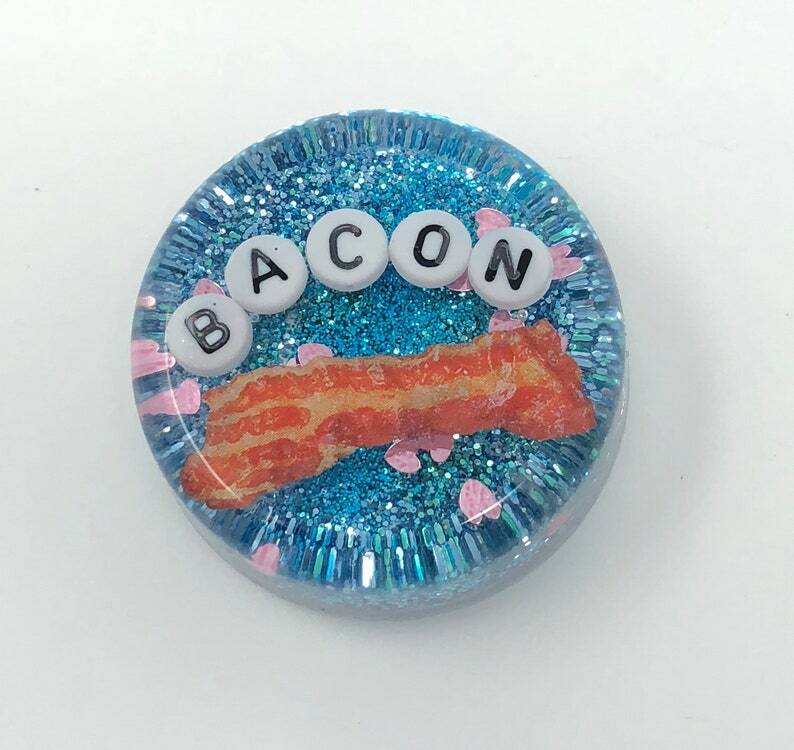 Please don't give this to someone who hates bacon. Those people have enough problems in their baconless life. Thank you so much!! Such pretty colors, great quality, and excellent service!! FUN in the tub! This is even cuter in person!! Thank you! Yes, I would be happy to create a custom Shower Art for you. Check out the sizes in the "Custom" section of my shop & put your request in the order notes when you check out. You are also welcome to send me a convo if you would like to nail down any details in advance. If you would like to purchase Ugly Baby items for your shop, please send me a convo with your shop name and website. If we think it will be a good fit, we will send you a link to view our Etsy wholesale linesheet.